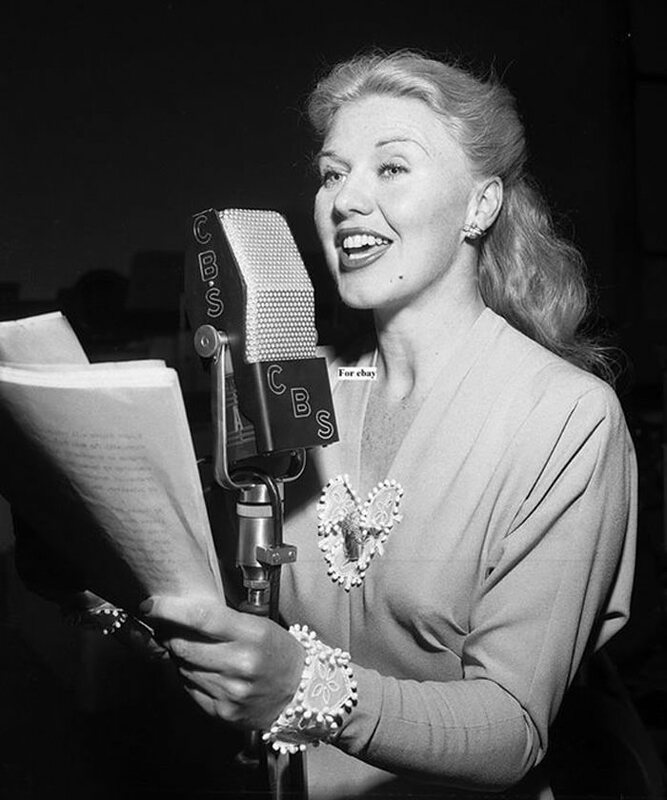 The Prudential Family Hour originally featured operatic and classical music with sketches for seven years. The music was intermixed with short dramatic sketches about notable composers such as Beethoven. 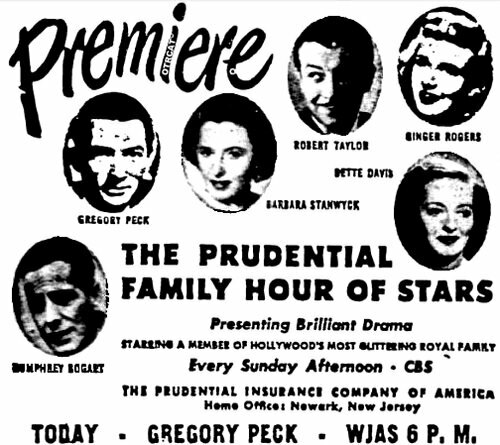 In 1948, the show changed formats and was renamed The Prudential Family Hour Of Stars. 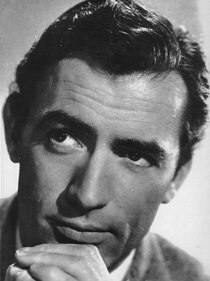 Billed the Prudential "Family" the new show featured a rotating cast with Gregory Peck, Bette Davis, Ginger Rogers, Humphrey Bogart, Ray Milland, Robert Taylor, and Barbara Stanwyck. 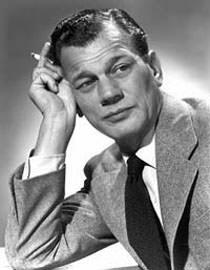 Other guest stars on the show include Frank Lovejoy, Alan Reed, William Conrad, Joseph Cotton, Gene Kelly, Gerald Mohr and many more! The episodes in this collection are from the later version of the show, The Prudential Family Hour Of Stars. See also: Chesterfield Supper Club General Electric Theater, and Cresta Blanca Hollywood Players. Be the first to comment on "Family Hour of Stars"